With an ultra-smooth cover and MicroCloud fibre fill, the SheerBliss Luxury Travel Pillow is the ideal travel companion. With an ultra-smooth cover and MicroCloud fibre fill, the SheerBliss Luxury Travel Pillow is the ideal travel companion. 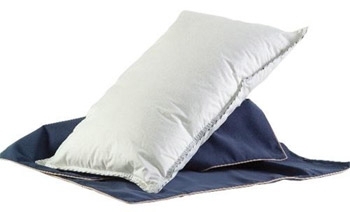 Providing instant comfort during travel by bus, plane, car, or train, yet big enough for a great night’s sleep in any bed, it offers the same comfort level as a genuine goose down pillow—for just a fraction of the cost. 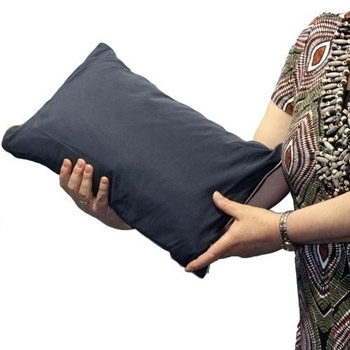 And with a fiber fill, this pillow is ideal for allergy sufferers. 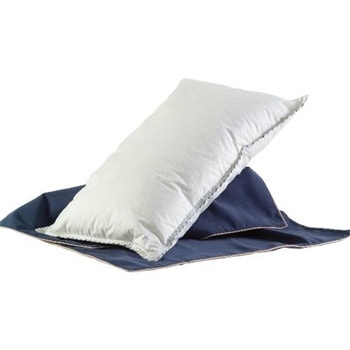 The SheerBliss travel pillow helps eliminate neck pain by providing a consistent pillow size and strength for the duration of your travels, rather than sleeping on various pillows from night to night. Pillows that use MicroCloud filling are the preferred choice for most 5-star hotels, due to their exceptional comfort and incredible retention qualities. Have you ever considered how many people have used the pillow in your hotel room before you checked in? Unfortunately, pillows can serve as breeding grounds for bacteria and germs. 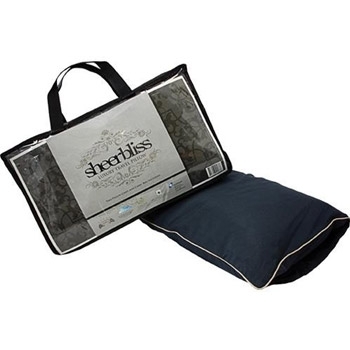 With the Sheerbliss Luxury Travel Pillow, you can enjoy worry-free, comfortable sleeping. Did you know that scent is the most evocative sense we possess? Strange scents can make us uneasy, but with the Sheerbliss pillow, you’ll bring your own personal scent with you—giving you subconscious comfort and improved sleep as compared to the unfamiliar scent of hotel pillows. It is just as I hoped, perfect size and perfect firmness.